The purpose of this blog is to share in English some of my experiences in life and to hear about yours. I learnt English as a child and I’ve been teaching it to others so they can live better lives in the English-speaking world. Please contact me if you need help learning or improving your English and/or would like to visit places on and off the beaten track. My exploration of the living space continues... 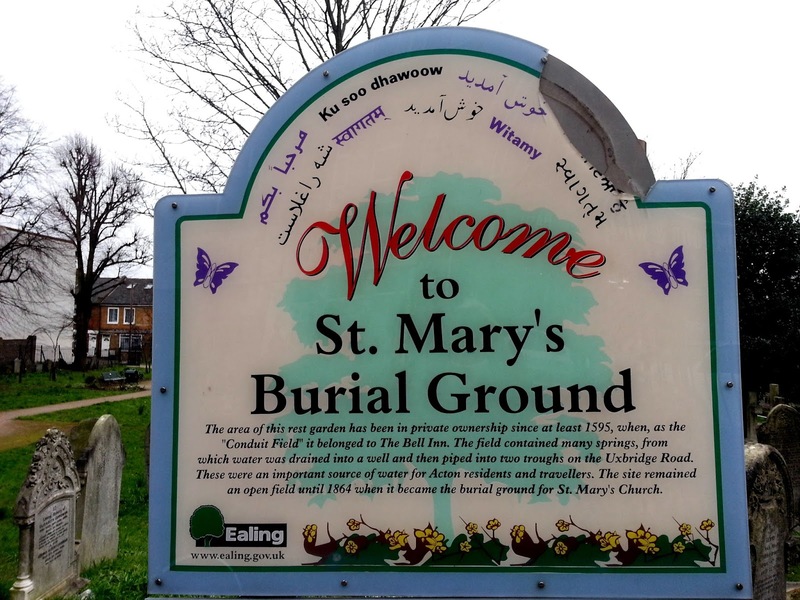 There is a small burial ground a short walk from St Mary's Church near the Market Place in Acton. 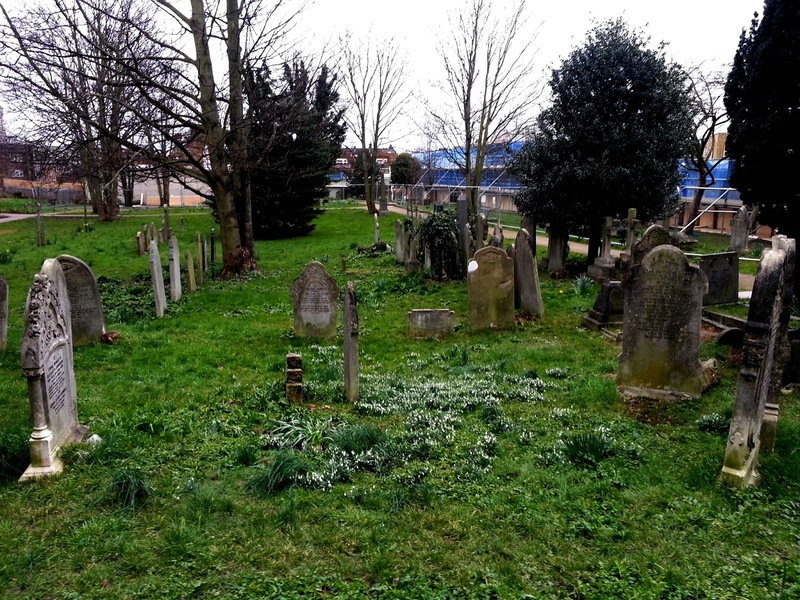 This little cemetery is a small oasis of peace between Churchfield Road and Acton High Street. Some people go through the cemetery avoiding the narrow streets full of parked cars. Churchfield Rd witnessed filming several Monty Python sketches, according to Dear Wiki, which will also tell you about important people who have lived there. You may not have heard of them, especially being a foreigner. Let's find out about one of them, shall we? Well, I don't know of many children in the 1960s Poland that would work at such a young age. They had to go to school. Definitely, some of them would have to help their parents, especially on a farm or with household chores. Hang on a moment... Actually, I've met a successful Polish businessman here in London, who has been working hard since he was a little boy in rural Poland due to very difficult family circumstances. This probably made him a successful person, mind you. Back to Adam Faith, of course you can read about him yourself clicking here, but I cannot resist quoting one more sentence: 'Still 20 and living with his parents, he bought a house in Hampton Court for £6,000, where he moved with his family from their house in Acton.' Yes, it was £6,000, in old money though. How many people in their twenties could afford to buy a house either in the 1960s or now, when the equvalent price of a house would be more than half a million pounds? Well, Adam Faith was not an ordinary man! Do you do your shopping at Waitrose like Svietlana who I met in Sheen a year or so ago? (It would be nice to see her again. I enjoyed talking to her and planning a holiday in her villa in Egypt. 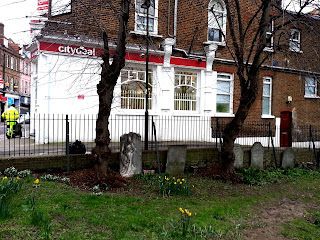 :-)) Whether you do or not, you may be interested to find out that they opened their second branch at 65 Churchfield Road in 1913. The original small grocery store, Waite, Rose & Taylor, in nearby Acton High Street was founded in 1904 by Wallace Waite, Arthur Rose and David Taylor. Yes, Waitrose began as a small grocery store. In 1908, two years after David Taylor had left the business, the name "Waitrose", from the remaining founders' names, was adopted. In 1937, the company, consisting of ten stores and 160 employees, was taken over by the John Lewis Partnership. As of February 2015, Waitrose had 344 branches across the United Kingdom, including 30 "little Waitrose" convenience stores, and a 5.1% share of the market, making it the sixth-largest grocery retailer in the UK. This chain of British supermarkets is considered 'upmarket' and has a Royal warrant to supply groceries, wine and spirits to Queen Elizabeth II and Prince Charles. 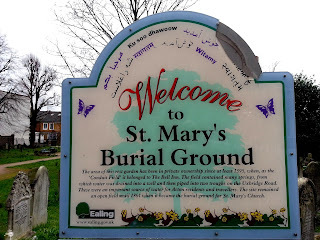 Let's meet at 1 pm outside Acton Central Station, which splits the pretty Churchfield Road into two, and walk through Acton Park entering the same way as the annual Acton Carnival procession has entered the park over the recent years. 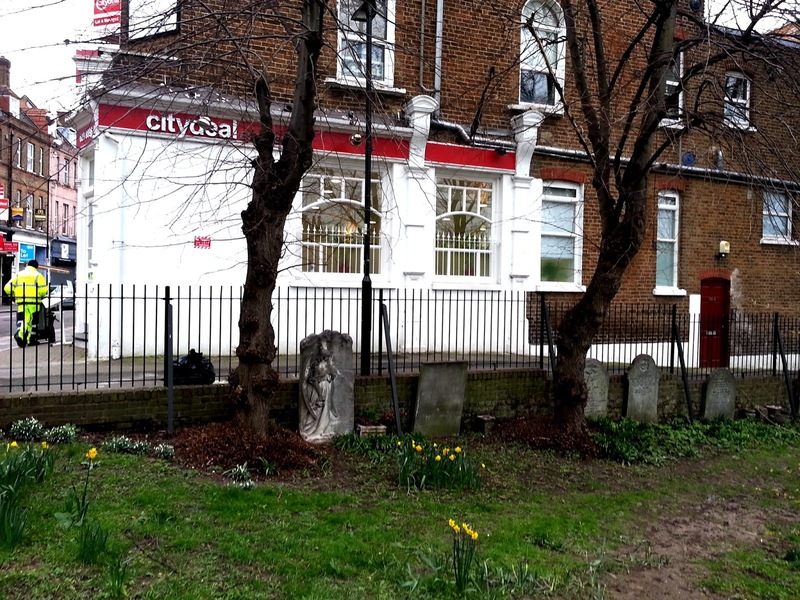 On the way we will see a brand new school and talk about the Goldsmiths’ Guild, the major benefactors of this part of the former London borough. We shall cross the east west through road, here known as The Vale heading towards Southfields Recreation Grounds which is situated on one of four ancient fields in Acton. The council bought in 1908 from Wilkinson Sword Co. who during World War 1 manufactured over two million bayonets on site. Then we will stop to see St Peter’s Church which is especially popular with the Italian community and continue towards the long and curved Acton Lane to leave it soon for the Ukrainian Orthodox Church. Next we will make our way towards the same east west road which here uses the name of Acton High Street. We shall see more interesting edifices and ponder over the history of Berrymead Priory which was not really a priory. We will visit the newly open Arch Climbing Wall Centre. There will be some surprises on the way too! We will end up at The West London Trade Union Club and you are welcome to stay on and chill out over a drink but bring some food with you or buy some on the way. It's still £10 pp only, mind you! 102 The Avenue Surgery Blog | Let the GP share some news with you…. Three ladies on one bus at a time! © Joanna's Whimsical Life. Simple theme. Powered by Blogger.